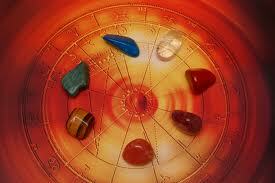 In the ancient Puranas, nine Vedic astrological gemstones have been clearly mentioned. Each of these gemstones represents one of the nine major planets: ruby for the Sun, pearl for Moon, coral for Mars, emerald for Mercury, diamond for Venus, blue sapphire for Saturn, cat’s eye for the planet Ketu and garnet (hessonite) for the planet Rahu. One may wonder what the importance of these nine gemstones are? Well, just as all types of food are not suitable for all humans, not all gemstones are recommended to be worn by all humans.Out of these nine gemstones, only two or three gemstones may actually be suitable for each person based on the consistency of cosmic configuration within them. This cosmic configuration is broken down into the five basic elements: fire (your body temperature), water (the molecule that makes up 75% of your body), air (the molecules that you breathe every second), earth (your body’s minerals and vitamins), and cosmic energy (the Sun and other planets’ magnetic fields). Fusing the natural composition of the gemstones with that of your body will enhance your talents and diminish your weaknesses.Wearing the wrong gemstones could be the cause to much disruption and stagnation in your life. The technique required for finding the most beneficial gemstones requires establishing your nakshatra (birth ascendant) through calculations based on your date, time, and place of birth. With my empirical knowledge in Vedic astrology and Gemological Institute of America (GIA) credentials, I will prescribe the most suitable and empowering gemstones. With Vedic astrological gemstones, you are bound to experience true harmony and success.Remember, Nature will not come knocking on your door to help you. It is up to you to seek and harmonize yourself with Nature. Take advantage of this fantastic knowledge of ancient seers and find out what your harmonizing Vedic astrological gemstones are, today! You are part of Nature. Use Nature’s own properties to balance yourself. For more information of the nine planetary gemstones and pricing pls click on the nine gemstones link or go in categories in the gemstone section.For original vedic gemstones with authentication certificate pls contact us on freeastroadvice@yahoo.com or skype id tushar666 or call us on+919819050099 .